The Ice-O-MaticGEMU090 ice machine makes soft chewable sonic-style ice. Ice-O-Matic calls it Pearl ice. It’s perfect for margaritas, smoothies, cocktails and iced tea. You can also just crunch it in your mouth. It has a soft texture that crumbles with ease between your teeth. This ice machine is designed for under-counter installation at home or at small cafes, offices, and venues. It’s also rated for indoor and outdoor use. The GEMU090 comes with the build quality, ease of use and reliability that the Ice-O-Magic brand is known for. You can be sure it will last for years. The compact ice machine is designed to go under the counter. It measures around 15” wide and 33” high. Of course, you can also leave it standing on the floor if you want. But it’s far too big to put on the counter. It’s primarily a gravity drain ice maker. That means that water from melted ice flows down on its own into a drain. But if you don’t have a floor drain that is close enough to drain the water into, you can order the machine along with a pump. This allows you to direct the water up to the sink or any other drainage that’s further away. It is best if you hire a plumber to install the pump. Once you’ve set it up, the GEMU090 produces enough ice for a large family; up to 85lbs per day. You can also use it in a small office or break room. The ice, as I mentioned, is the chewable type you get at Sonic. It’s soft and crumbly rather than hard or clear like the ice from most ice machines. This ice machine may be pricey, but it gives you your money’s worth. It can produce up to 85 lbs of soft nugget ice per day. That’s more than even some bigger ice makers around. It’s certainly more than enough for large families and perfect for small venues, offices, and businesses. Its storage capacity – the maximum amount of ice it can hold at a time –is 22lbs. That’s a lot of ice. If you have an event, one batch of ice is enough to serve everyone before you need to prepare the next one. Note that this machine is not a refrigerator. If you leave the ice inside for too long, it will start melting.If you can’t use all the ice at once, put it in the freezer for later use. One thing almost every customer is saying about the GEMU090 is how quiet it is. You won’t even realize it’s on. The GEMU090 ice machine produces soft nugget ice. This is very different from the white pellets or clear gourmet ice cubes produced by other ice machines. This ice is meant for either chewing or uses in drinks like margaritas, cocktails and fruit juices. I wouldn’t recommend it for whiskey or bourbon. This is because it melts too quickly meaning it will dilute your drink. It also doesn’t look as elegant in a glass of vodka as gourmet ice. But for a margarita, this type of soft ice is perfect. 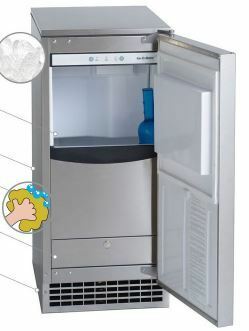 Ice-O-Matic uses a technology they call Pure Ice® that protects the ice from bacteria or odors. So your ice comes out pure and fresh without any stale smells. This technology also prevents scaling inside the ice machine especially if you use hard water. This not only maintains ice quality, but it also lengthens the life of the machine. Setup can be a bit tedious especially if you are using the pump kit. There is no water tank, so you have to hook up a water line at the back. You also have to set up the drainage. I recommend getting a plumber to do it for you. But once you have set it up, it’s easy to use. The control panel is visible when the door is open. Here you’ll find indicators for when the machine is operating, when there is no water coming in and when it’s time to clean. There are also two buttons for power on/off and cleaning/reset. Because this is nugget ice, there is no option for changing the size of ice cubes. Most customers love it. They love that they now have an almost endless supply of high-quality ice. Many are surprised at how quiet it is especially given how much ice it makes. The one complaint I’ve seen from a few customers is regarding the motor. 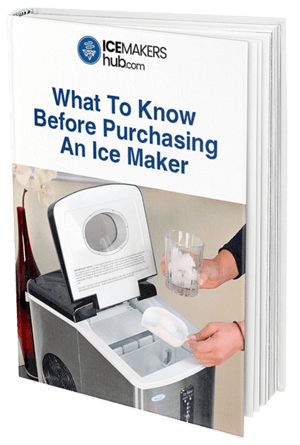 It starts developing problems 3-4 years into the life of the ice machine. Buying a replacement and fixing it is not cheap. The warranty is only one year long (too short for a $2,000+ machine, in my opinion)so you’ll have to cover the costs yourself. 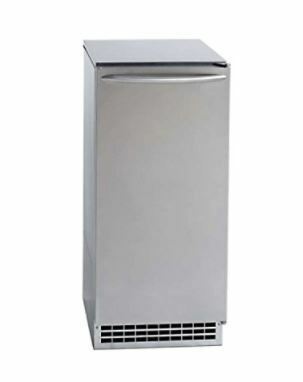 If you really need a high-capacity sonic ice machine for your home, office or business, this is a good choice. It works well and is reliable…at least for the first 3 or 4 years. Budget around $1,000 for repairs when the motor eventually breaks down. But for most families, consider getting a cheaper and smaller nugget ice machine. See our recommendations in this sonic ice machine buying guide. The Ice-O-MaticGEMU090 may be expensive, but it’s one of the best nugget ice makers. 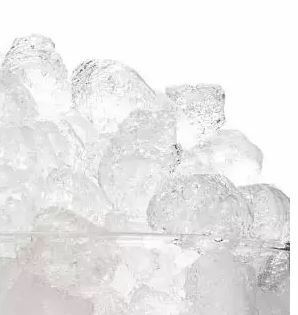 If you absolutely love Sonic ice and you are tired of buying bags of it every time, invest in this ice machine and then you can enjoy as much nugget ice as you want without paying a dime.